It’s a powerful, visual story with gorgeous new home construction and renovation projects, current technologies, helpful home maintenance tips, and staff highlights. 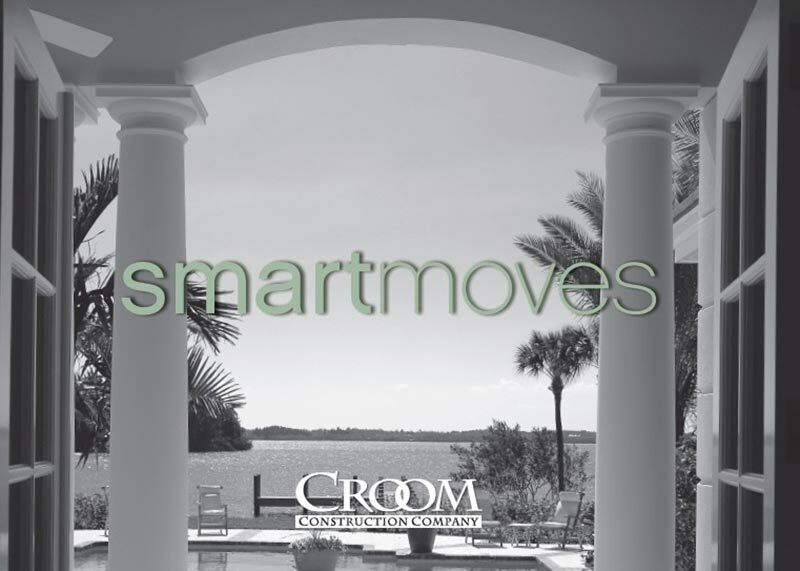 SmartMoves features news from Croom Construction Company and each of our affiliates. Sign up to receive unfettered access to each new issue and stay connected to the industry experts. 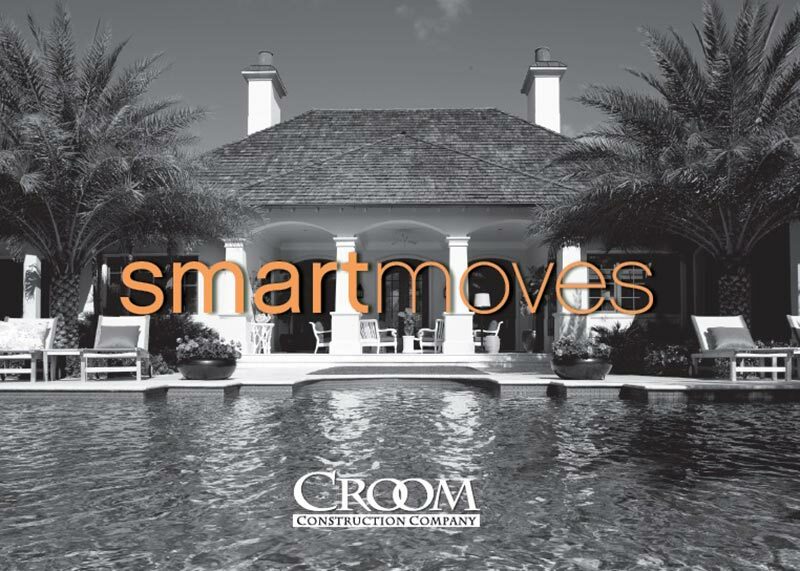 This year marks 40 years since Croom Construction Company opened its doors in Vero Beach. 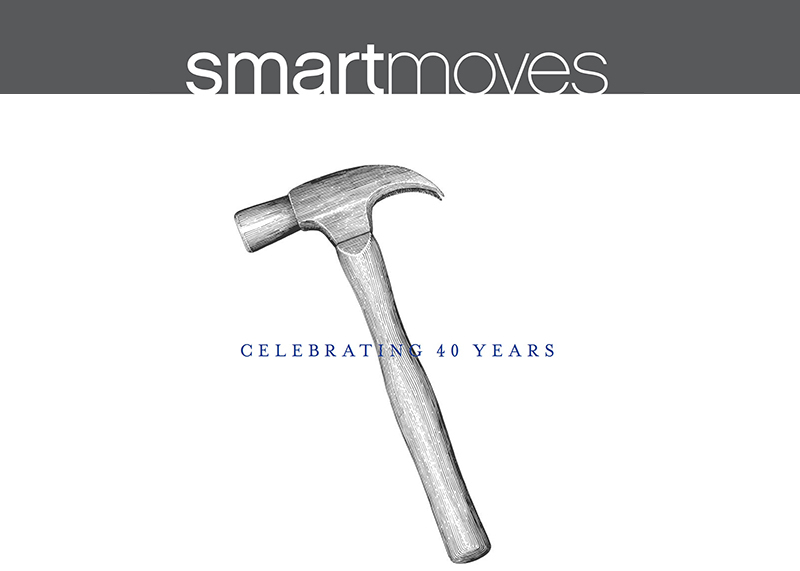 1000+ custom homes and commercial projects later, we're celebrating a significant milestone. The March issue of Vero Beach Magazine features our history - and what lies ahead! 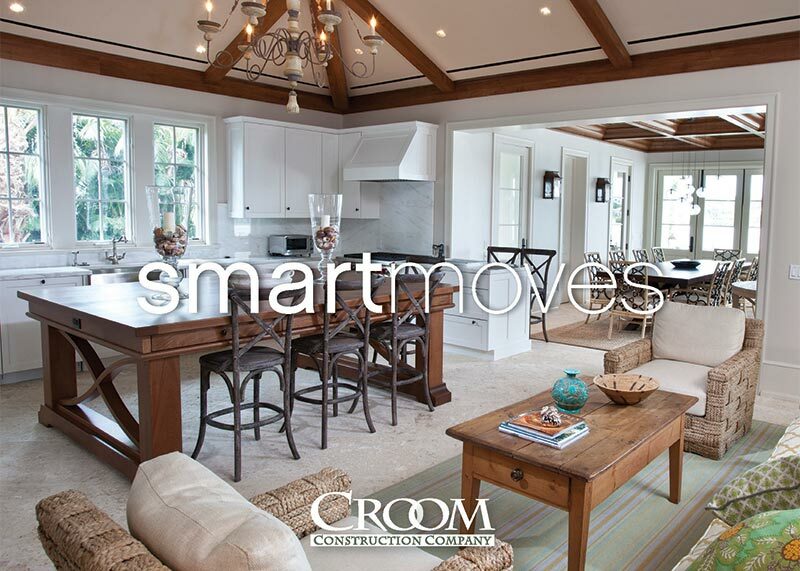 A John’s Island home, built by Croom Construction Company, honors tradition combined with state-of-the-art technology. Nearly 50 years after Llwyd Ecclestone, Sr. had a vision to create a private, family oriented community, preservation of the barrier island land remains a priority today – as stricter building codes, technical advances and societal trends have led to new construction. Featured in the September 2017 issue of Vero Beach Magazine. 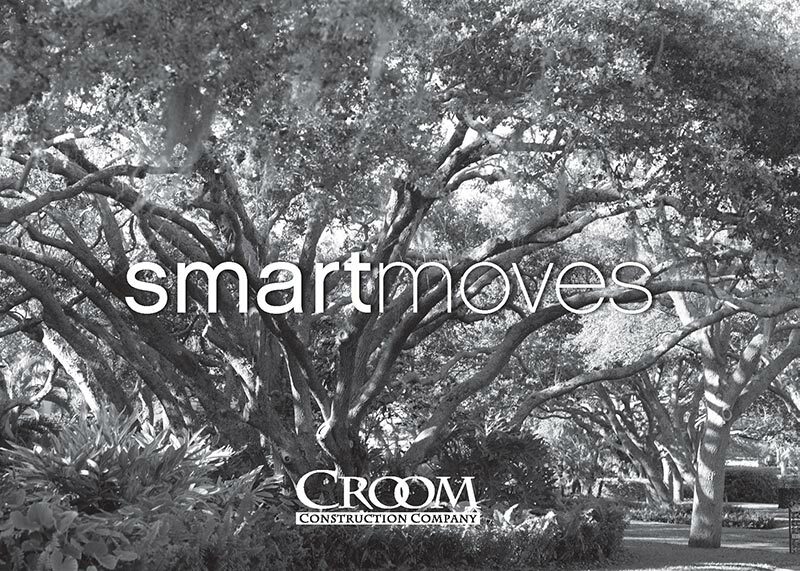 Croom Construction Company takes great pride in supporting our community. Each season we sponsor local non-profit organizations and events that benefit so many people- right here in Indian River County. Among our sponsorships this year are the Indian River Land Trust, Lines in the Lagoon, John's Island Community Service League, Toys for Tots, Vero Beach High School, Windsor Charity Polo Cup and Saint Edward's School. Hats off to the many philanthropic organizations and generous donors in our community. You improve the quality of life for everyone, every day. Judge Janet Croom ascended to the bench last spring. Appointed by Governor Rick Scott, the Vero Beach resident and wife of David Croom is the 19th Judicial Circuit’s newest circuit judge. Judge Croom’s 21 years as a trial attorney prepared her well for her new role. Designers share details of fantastical concepts like indoor swings and a pirate's crow's nest in projects recently uploaded to Houzz. They are meticulous about living a life dedicated to and celebrating deliberate design. In the business of beans. Pulpan and Paul-rud own more than twenty coffee shops in their native Oslo, Norway. A recently remodeled oceanfront home features clean, crisp contemporary lines and a calming color scheme. Family-owned businesses are often the backbone of our communities, and that is certainly true in Vero Beach and Indian River County. 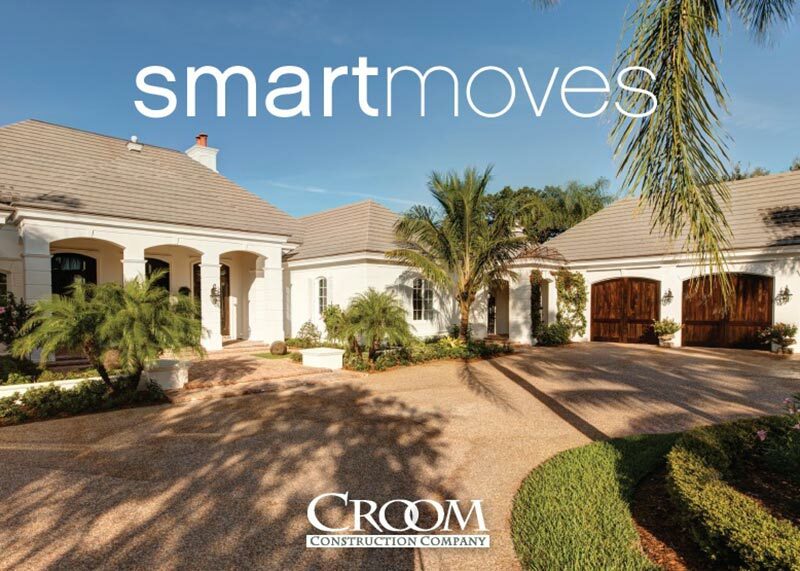 Croom Construction Company is one of seven family-run firms featured in the April issue of Vero Beach Magazine. We hope you enjoy reading these stories of families who love working together and do it quite successfully. October brought more than just the start of high season. It also meant the completion of the John's Island West Clubhouse renovation. 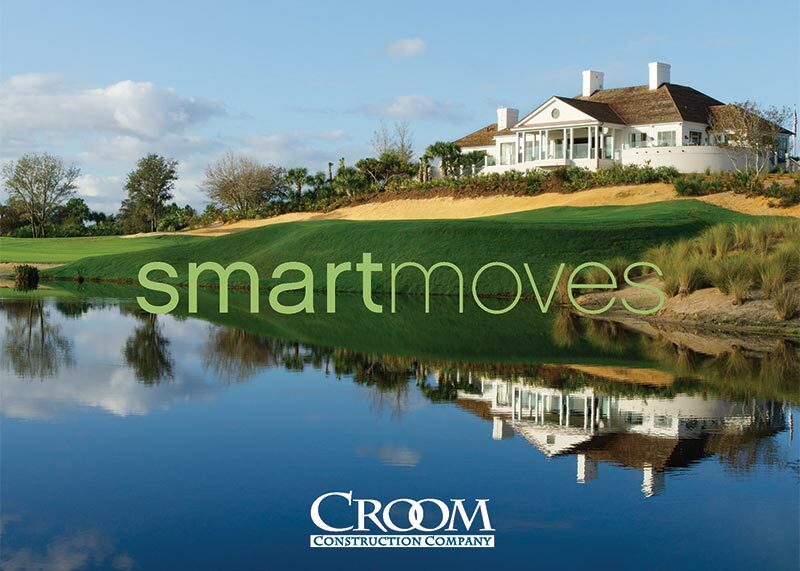 Croom Construction started the complex project in spring 2011 and completed it right on time in late October. The results are beautiful, and Club members are singing its praises. 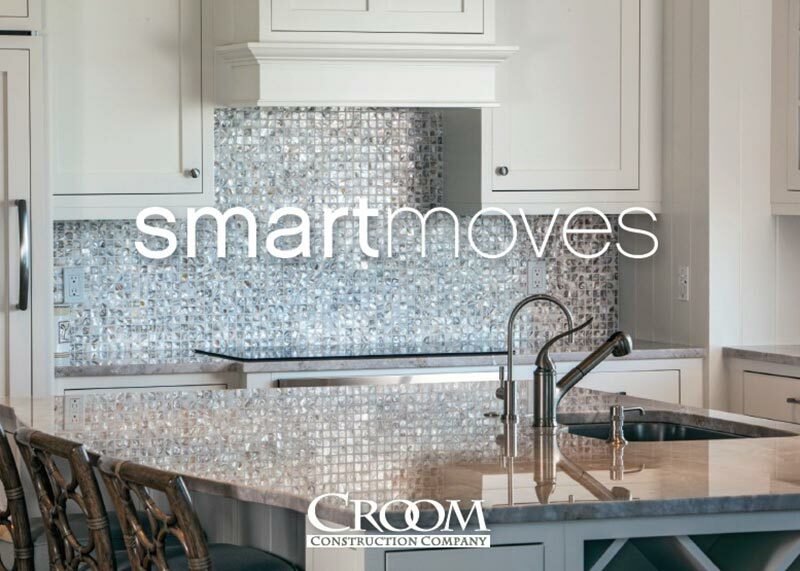 At Croom Construction Company and Whitehall Professional Property Management, we are often approached by clients asking us about the latest trends for remodeling their custom, luxury home or a larger commercial property. We thought we would share some of the trends that were predicted to be favorites among builders, managers, and homeowners for this year. Below you will find that we briefly recapped the trends predictions for home remodeling in 2011. After reviewing these, please share with us if you engaged in any of these projects or another type of home remodeling project on our Facebook page. We welcome the feedback. 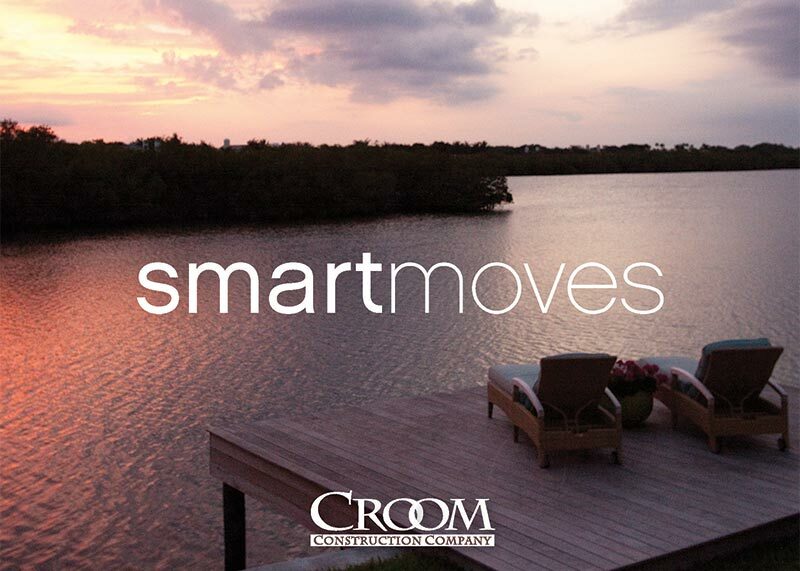 At Croom Construction Company and Whitehall Professional Property Management, we understand the care and devotion that goes into crafting a luxury home to make it uniquely yours. Whether you’re a full-time or seasonal resident here in Vero Beach or the greater Treasure Coast, caring for your home requires due diligence on your part in finding the right professionals you can trust and rely on to build, maintain, or remodel your high-end home. 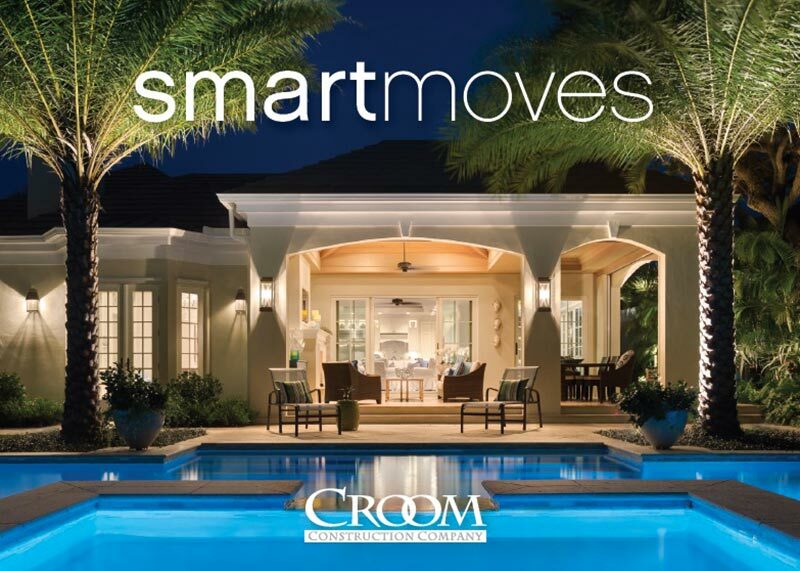 Croom Construction Company has been building and remodeling luxury homes in Vero Beach and the Treasure for over 30 years, and our partners at Whitehall Professional Property Management have been maintaining, repairing, and managing residential properties and luxury homes for over 11 years. Our mission is and has always been to provide you with the utmost attention to detail, precision and professional experience your home deserves. And our reputation and commitment to our fellow residents in the seaside community that we call home speaks for itself. So whether you’re considering building your own private getaway along the Treasure Coast, or simply looking to remodel your existing home for you and your family, feel free to contact Croom Construction Company. We look forward to hearing from you. Now you can click over to Croom’s new Facebook page straight from our website. Just click the button in the top right corner of any page, and you’re in. It’s that easy! Once you arrive, ‘Like us’ and join the conversation. We look forward to taking full advantage of the opportunities to keep a pulse on what matters most to our clients and the community at large. Through our Facebook page you will be able to keep up with the latest news and happenings at Croom Construction Company, Whitehall Professional Property Management, and Precision Finishing & Painting – as well as receive periodic advice on matters concerning your home and property in Vero Beach or the surrounding Treasure Coast. Likewise, if you have anything you want to share, we invite you to engage with us and our community members through our Facebook connection. Though you make Vero Beach your home during season, you can stay in contact with your property management, contractors and home maintenance professionals at Croom Construction Company, Whitehall and Precision any time of the year. Enjoying the outdoors isn’t just a trend in south Florida, it’s a firmly established way of life. Does your home take full advantage of outdoor living? A recent trend study by the American Society of Landscape Architects highlighted some of the key areas that homeowners were interested in with regard to their outdoor living space. The trend survey found that the most popular living and garden features included lighting, fire pits and low maintenance landscapes. Overall, 96.2 percent of respondents rated exterior lighting as somewhat or very popular for this year, followed by fire pits/fireplaces (94.2 percent), seating/dining areas (94.1 percent), grills (93.8 percent) and installed seating like benches or seat walls (89.5 percent). If you’re considering a renovation that includes an upgrade of your outdoor space, Croom Construction Company can help. We’ve been pioneers in crafting versatile outdoor living environments. Whether you’re looking for an outdoor kitchen, living room, extended recreational area, or all of them, we’ll work with you on a plan that reflects your design personality and is a natural extension of your home. All that will be left for you to do is consider all the wonderful outdoor living furnishings available today—weather-proof furniture, stainless steel grills and bar fridges, fire pits, and home theatre components. Despite a foot injury incurred during practice, our President, David Croom, decided the show must go on. Despite a foot injury incurred during practice, our President, David Croom, decided the show must go on. On March 12th, he took to the stage of the Waxlax Theatre at St. Edwards School to perform the foxtrot with professional partner, Patti Rooney. While David didn’t go home with the coveted grand prize (that honor went to local attorney Bobby Guttridge and partner Karren Walter), funds were raised to benefit the Healthy Start Coalition. Remembering two simple words can help make your next home renovation or construction project much more enjoyable: Good Planning. As most of us know, embarking on new home building or renovation projects often bring about an immediate picture of setting budget parameters, time constraints, selecting from different design concepts, and many other decision-making issues that can cause you to reach for a bottle of aspirin instead of the phone. That planning process, at least at Croom and Whitehall, is well articulated and implemented from start to finish. As a project estimator for more than 20 years on the Croom Construction team, Joe Kirby, Vice President of Estimating tells clients, that when they deliver a bid, you can rest assured that you know the true cost. In other words, the price is their bond. No back-peddling or hidden costs. 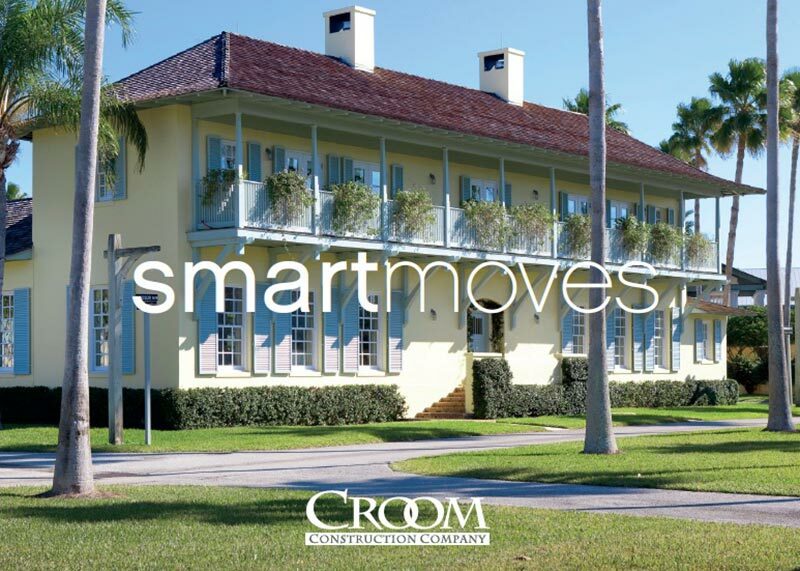 Croom Construction Company and Whitehall Professional Property Management know the value of reputable service in Vero Beach and the Treasure Coast. 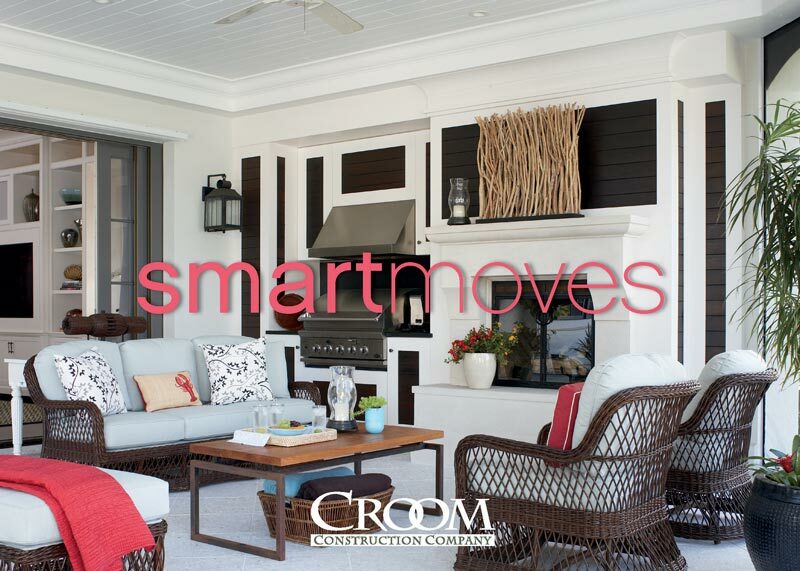 As longtime members of this seaside community, the professionals at Croom and Whitehall take great pride in maintaining a solid reputation by always lending your homebuilding and renovation projects their talented and timely resources. Think twice! Avoiding critical home maintenance due to perceived cost is actually more expensive. Maintaining homes in a seaside community like Vero Beach can be quite the challenge. It requires dedicated attention from skilled home maintenance professionals. Experience and certifications do matter, and that’s exactly what the professionals from Croom Construction Company and Whitehall Professional Property Management offer their clients. Avoiding home maintenance in beachside communities like those on the Treasure Coast - because you think it might be too expensive - actually increases the risk of even more expensive maintenance issues down the road. As the professional “handymen” from Croom and Whitehall like to say, having regular home check-ups is a lot like going to the doctor. By being proactive in caring for your home and contacting professionals, you avoid the many risks associated with ignoring the warning signs. And not all warning signs are obvious, but a quick home check-up can identify them. And just like selecting a doctor for your physical health needs, take the time to check out the credentials and history of your home maintenance and property management professionals. Your home is an investment that should be protected and cared for. 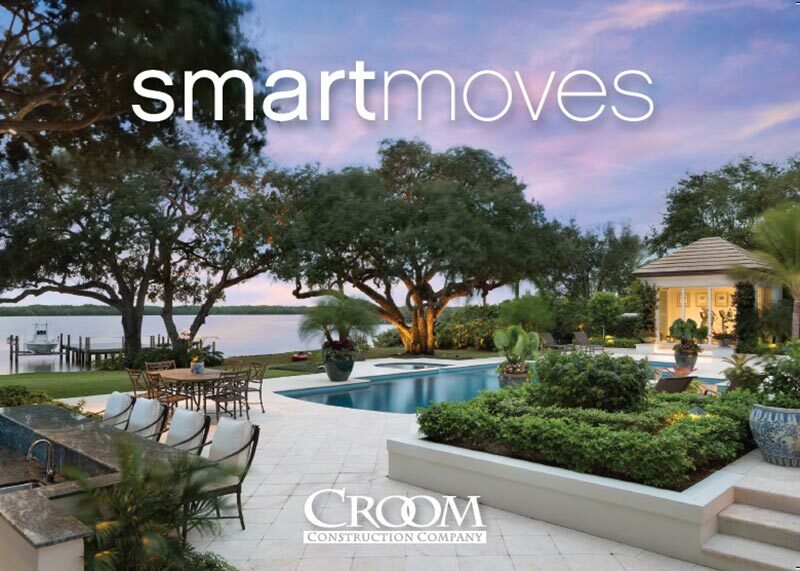 Companies like Croom Construction, with 30+ years of experience in the home building and maintenance industry in Vero Beach and the Treasure Coast truly understand your home care needs, and just how valuable timely and dependable service can be for you. So the next time you are evaluating the needs of your home and considering the cost, give Croom Construction or Whitehall Professional Property Management a call. You just might be surprised by how much time, stress, and money you can save yourself by being proactive with your home maintenance needs. The DPHA Annual Conference and Product Showcase brought together a number of unique, new and efficient decorative plumbing and hardware products. Highlights of the show included sessions with industry experts and the launch of new eco friendly decorative plumbing and hardware designs. For the first time in the conference’s history, a professional Q&A forum was offered to the attendees, featuring industry experts. David Croom, President of Croom Construction Company, was the General Contractor expert on “The Creative Trilogy” panel. David Croom received his Bachelor’s Degree in Business Administration and Industrial Engineering from the University of Georgia and an MBA from the University of Miami. Early in Croom’s building career, Llwyd Ecclestone Sr., founder of John’s Island in Vero Beach, invited Croom to partner with him to build luxury homes and oceanfront apartments in 1978. “I knew instantly that I finally had an opportunity to execute the architectural details and achieve the level of quality that had been so familiar to me while growing up in Virginia,” said Croom. When asked the secret of his success, Croom replied that his engineering and architectural experience combined with strong people skills and a natural penchant for sales continue to guide him and his business. He also added that to overcome some of the obstacles and challenges facing the industry, including tough economic times, “Croom Construction continues to focus on highly attentive customer service and anticipating the need for new and valuable services.” For example, Croom Construction pioneered preventive home maintenance and property management for the high-end homes that they built by opening Whitehall Professional Property Management over 12 years ago. Today, other builders are following their lead. As the founder of Croom Construction, David brings a natural-born, winning attitude to the process of building and renovating homes. His client relationships and his strategy for creating beautiful homes immediately demonstrates his deep commitment to getting it right. All proceeds from the game support the Senior Resource Association programs. Croom Construction and Senior Resource Association are pysched to have Fernando Arroyo, former MLB pitcher for the Detroit Tigers, Minnesota Twins and Oakland Athletics, throw the first pitch at the April 24 Dodger vs. Codger baseball fundraiser game at Dodgertown’s Holman Stadium in Vero Beach, FL. Keep in mind the little league Dodgers range in age from eight to 11 years old. The SRA Codgers start at 45 years old up to 70 years old. This should be one fun day out at Dodgertown. Our money is on the Dodgers. For tickets, visit Bobby’s Restaurant at the Reef Ocean Resort, The Laughing Dog Gallery or Frostings on Cardinal, Marine Bank & Trust, The Alexis Agency, Senior Resource Association or find any Dodger or Codger. Vero will never be the same. Don’t miss the fun. All proceeds from the event support SRA. Whitehall's new property management division fields calls as hurricane forecasters predict busy 2010 hurricane season. Whitehall of Vero Beach Expands Services to Include Professional Property Management Due To Client Requests. The phones are ringing in Whitehall’s new property management division. With recent predictions of a busy 2010 hurricane season, Treasure Coast residents are preparing to be prepared. Whitehall, an affiliate of Croom Construction Company, recently expanded their legacy business to include professional property management. Whitehall’s long-standing reputation on the Treasure Coast is well known to both island and mainland residents. Many use Whitehall for their preventative home maintenance system, which they pioneered more than 11 years ago. It’s a 70- point check detection system that takes a proactive approach to preserving seaside homes. They create a custom log that details every feature of their client’s house or condo. Roof leaks, mold and mildew, structural deficiencies – they virtually cease to exist in homes that are covered by the Whitehall Preventative Maintenance and Detection Service because items are detected and addressed before they become chronic issues. Whitehall also has a home repair division that is backed by Croom Construction’s 30 years of experience in this community. With the addition of the property management division, Treasure Coast residents, both seasonal and year-round, can now have one point of contact for all of their home management needs. It’s the ‘one call does it all’ approach to home management. Professional property management is comprised of a menu of services. Services like on-call 24/7 for repair emergencies and storm response. Home monitoring for seasonal residents. Mail forwarding. Bill Paying. Airport transportation. Pest Control. Boat Care. Pet sitting. Pressure cleaning. Seasonal closing and opening of homes. Supervision of third-party services such as pool maintenance, landscapers and housekeepers. The list and services are comprehensive. Rebecca Clyde says “Bring it on Codgers.” The only female player of the Croom Dodger little league team, the girl is ready to show the seniors that eight-year-olds know baseball. The Croom Dodger little league team will take on the Senior Resource Association (SRA) Codgers at Dodgertown, Holman Stadium, Saturday, April 24 at 4pm. Sponsored and organized by Croom Construction Company, proceeds from the game will benefit SRA’s programs. The Croom Dodgers range in age from eight to 11 years old. The Codgers, made up of some of Vero’s most notable businessmen, range in age from 45 to 70 years old and will be coached by Bobby McCarthy of Bobby’s Restaurant and managed by Steve Mulvey of Quail Valley River Club. Kirk Koehler will umpire the game, while announcer Joe Sanchez takes the announcer’s chair. Gates and concessions open at 3pm. Game time is 4pm. Tickets are $5 each and available at Bobby’s Restaurant & Lounge at The Reef Ocean Resort, Quail Valley River Club, Seacoast National Banks eight Indian River county locations, Marine Bank & Trust, The Laughing Dog Gallery, The Alexis Agency at 4445 N. A1A, and Frostings located at 2915 Cardinal Drive. Croom Dodger and SRA Codger players will also be selling tickets. For more information, call 772.231.5999. Proceeds from the Dodgers versus Codgers game will benefit Senior Resource Association programs including Meals on Wheels, Adult Day Care, Social Entrée Meals, In-home Services, Senior Center programs and transportation. Vero Beach National Little League’s Croom Dodgers baseball team will take on the Senior Resource Association (SRA) Codgers, Saturday, April 24 at 4pm in Holman Stadium at Dodgertown in what promises to be a day of energy, enthusiasm and a lot of laughs. Sponsored and organized by Croom Construction Company, proceeds from the event will benefit SRA’s programs. The Croom Dodgers range in age from eight to 11 and are coached by Charles Croom. The Codgers, made up of some of Vero Beach’s most notable business people, will be coached by Bobby McCarthy of Bobby’s restaurant, and managed by Steve Mulvey of Quail Valley River Club. Joining the group of distinguished Codgers are Bill Curtis, chairman of Seacoast National Bank of Indian River; Bob Gibb, President of John’s Island Real Estate Company; Attorney John Moore; and Sheriff Deryl Loar. Eighteen senior local celebrities will take a swing at helping raise awareness for SRA. Baseball fans will revel in seeing the famed Bruce Froeming and Kirk Koeller umpire the game, while announcer Joe Sanchez will be in the announcer’s box. The Silvertones are scheduled to sing the National Anthem. Gates and concessions open at 3pm. Game time is 4pm. Tickets are $5 each and available at Bobby’s Restaurant and Lounge at The Reef Ocean Resort, Quail Valley River Club, The Alexis Agency at 4445 N. A1A, and Frostings located at 2915 Cardinal Drive. Croom Dodger and SRA Codger players will also be selling tickets. For more information, call 772.231.5999. Proceeds will benefit Senior Resource Association programs including Meals on Wheels, Adult Day Care, Social Entrée Meals, In-Home Services, Senior Center Programs and transportation. Michael Atwood has joined Whitehall as Vice President/Division Manager of the new professional property management division announced Bob Tutton, General Manager of Whitehall. Atwood’s 36 years of general contracting experience ranges from new construction to remodeling, professional maintenance and project development in Florida and North Carolina. Whitehall, an affiliate of Croom Construction Company, recently expanded its services to include Professional Property Management to its preventative maintenance and home repair service offerings. Whether it’s being on call 24/7 for repair emergencies and storm responses, monitoring unoccupied homes or managing services such as lawn maintenance, housekeeping, airport transportation and pool maintenance, these are just a few of the many services included in Whitehall’s new Professional Property Management division. In addition to more than three decades of experience in the residential and commercial construction industries, Atwood has 10 years’ experience specifically managing the preventive maintenance of coastal homes. He has won both the Winston Salem Home Builder’s Association Builder of the Year and President’s Award twice. The North Carolina Homebuilder’s Association has recognized Atwood’s achievements in design, awarding him the Outstanding Design Award numerous times. Atwood has a Bachelor of Arts from East Carolina University and also trained at The Builder’s Institute at North Carolina State University. He served as Captain in the United States Marine Corps from 1969 to 1974. A North Carolina native, Atwood is married and lives locally in Vero Beach. Whitehall, founded in 1999 as an affiliate of Croom Construction Company, specializes in preventative home maintenance and detection services, home repairs and the newly-offered professional property management. Staying power, diversity, and an ability to adapt in a dynamic construction industry have their benefits. Out of 500 qualified builders in 2009, Croom Construction Company was ranked 87th in the nation by Qualified Remodeler Magazine. Each year, thousands of national contractors submit revenue data and compete for a spot on the list, which serves as a consistent indicator of a builder’s long-term economic stability. Patrick J. Loftus, former owner of Gator Lumber, was honored earlier this month by Croom Construction Co., Barth Construction, Hale Construction, Inc., Jones & Jones, Inc. and Will Craft (Patrick’s former partner in Gator Lumber Company), as they joined together to make a donation to the United Way of Indian River County to honor Patrick. Senior Resource Association has selected Croom Construction Co. from among 12 other builders to renovate the Vero Beach Senior Center, 694 14th St. 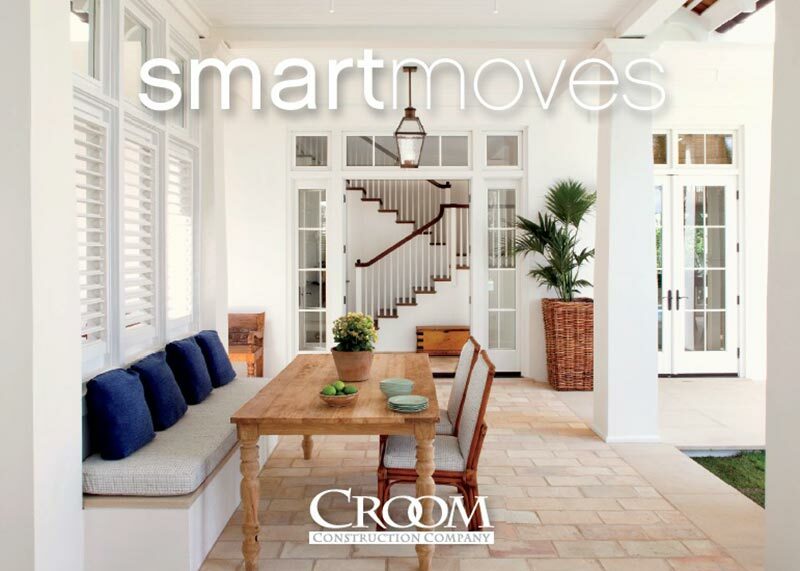 Qualified Remodeler magazine, one of the leading construction industry magazines in the United States, recently recognized the Renovation Division of Croom Construction Company as the 90th largest remodeler in the Top 500 Remodelers in the country. Local building contractors will honor Patrick J. Loftus, former owner of Gator Lumber, which was sold to Stock Building Supply, by making a lasting contribution to the United Way Center in his name. Charles Croom is hoping the old diesel power plant is bustling with activity by the end of the year. “We are in discussion with multiple tenants right now,” said Croom, vice president of Croom Construction. As many homes on the barrier island pass the 30- and 40-year-old mark, owners and buyers are frequently facing the dilemma of whether to start from scratch or renovate. Just about every homeowner has stumbled out of the bedroom half asleep or returned home from a trip to find something broken, flooded, leaking or just plain wrong in the house.